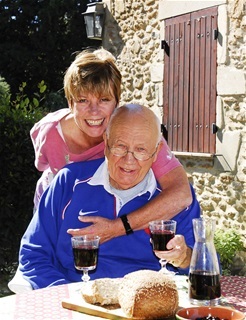 This is Bill with his wife Maria on the terrace of their home in Provence about to sample a glass of Cotes du Rhone Villages rouge. Bill combines mirth with astute observations for an insider's view of the military, social and medical developments of the last half century. 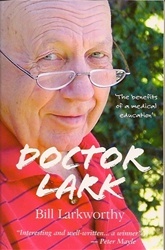 A funny and vivid account of how Bill used his medical degree to provide a passport to the world. Hi Bill, This is Mike Forster, Bob and Alison Forster's son. Bob is wondering if you had a chance to give them a call in Scotland. He is about to turn 90. Would you mind giving me your email address, just so I can say thank you properly for all you did for me? Mum says hello too and remembers you fondly.